If you operate or are in the process of opening an adult day care center, you have likely already dealt with a number of tasks, including finding and setting up a physical facility, obtaining proper licensure, and conducting background checks to name a few. 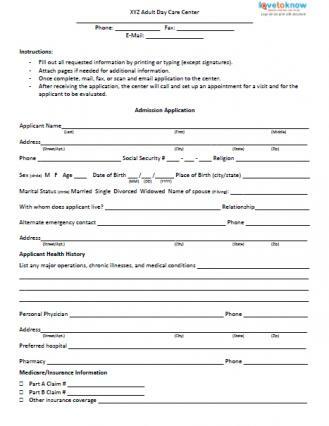 One important task involves creating and using an admission form filled out by seniors (or their family members) indicating they would like to become a client at your center. The link below will take you to a sample admission form that you can download and customize to meet your needs. You will want to personalize the form with the name of your center and appropriate contact information. If necessary, you may want to replace some of the information requested with information that suits your needs. The form was designed to be a general purpose form you can use as a customizeable template you can use to suit your needs. If you need help downloading the form, check out these helpful tips. Click to print the Adult Day Care Admission Form. If you have not done so already, visit the National Adult Day Services Association website. 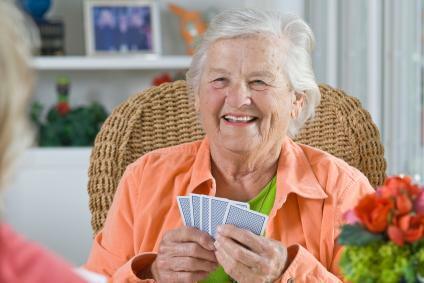 NADSA is the main professional association for adult day care providers. Members include adult day center providers, state associations, corporations, and many others interested in fostering first class adult day care programs everywhere. In addition, this guide to adult day care provides information about types of facilities and services offered.